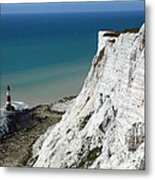 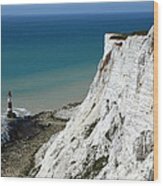 The white chalk cliffs where the South Downs meet the sea along the Sussex coast provide some of Britain's most impressive coastal scenery. 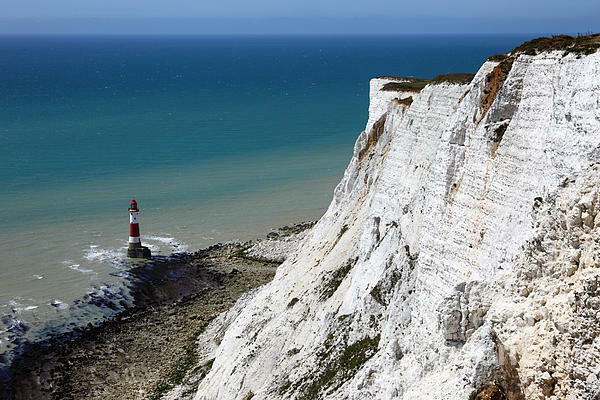 Beachy Head is at 162m / 530ft the highest chalk cliff in England; the name is a corruption of the old French Beauchef for "beautiful headland" (as it was known in the 13th century) rather than having anything to do with beaches. 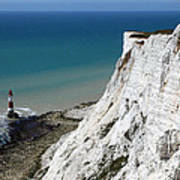 Photograph © James Brunker. Reproduction, transmission or use in any form (print, website, uploading to social media sites, Pinterest etc) without prior written permission strictly prohibited.